Iris season is relatively short, so one has to enjoy them while one can. For me, that means getting out and taking lots of pictures … which is wonderfully fun both because the flowers are so beautiful and because they are so fragrant! 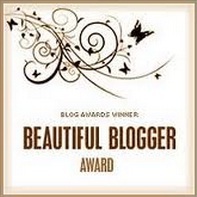 This entry was posted in Uncategorized and tagged Flowers, Gardening, Gardens, Irises, nature, Photography, The Morning Star Bed & Breakfast. Bookmark the permalink. Hi, Karen. I planted the irises our first year in this house – so this is their fifteenth season. I divide them about every five years, so some of the beds are due for division. When I thin them out, I throw away the oldest rhizomes because they won’t bloom again. 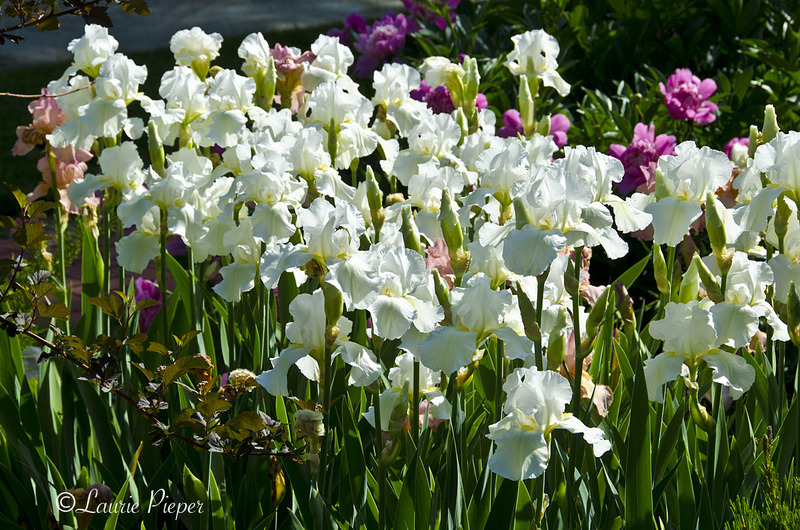 The last time we divided them, I had about 1,500 or so irises. 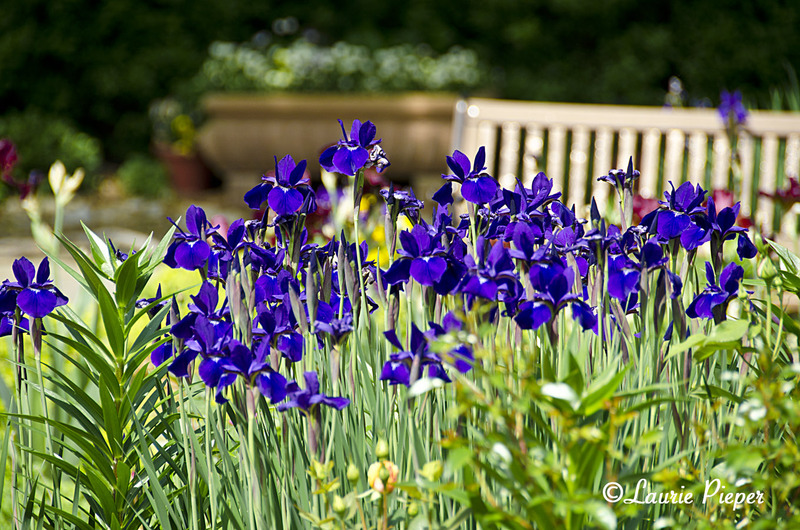 I donated a bunch to the K-State gardens for their annual iris sale, sent a box to my mother, and gave some to guests. I love irises and wish that they bloomed all summer. 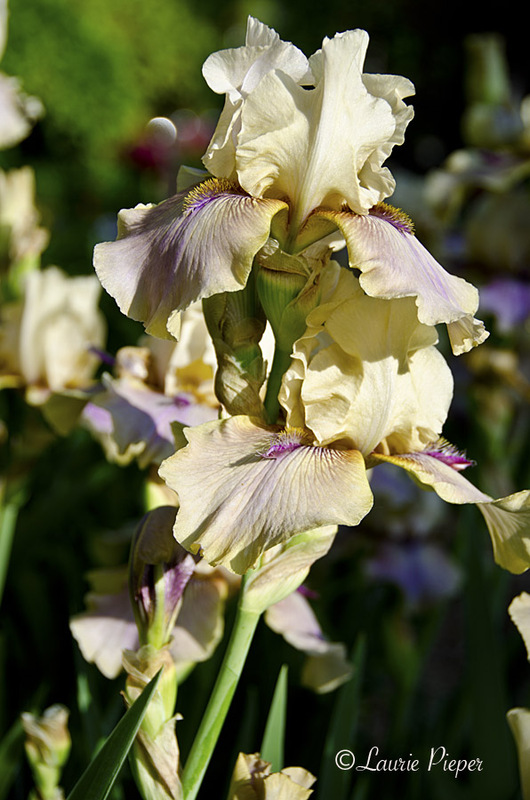 Unfortunately, “reblooming” irises generally don’t rebloom in Kansas because our hot summers make them go dormant. wow! I’m so impressed with their sheer abundance! Do you do a lot of fertilizing? How many years on average have they bloomed this profusely? In other words, are they new-ish bulbs? 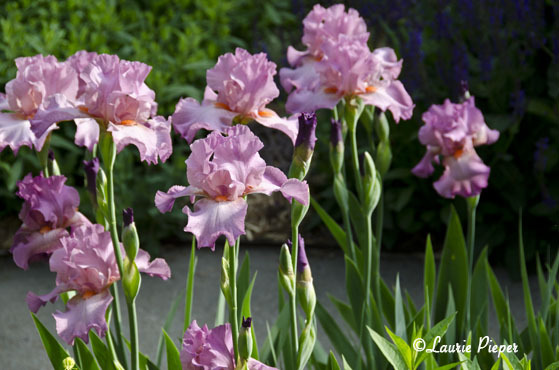 Irises should be fertilized late winter – around the last snow or when crocuses start to come up. I remember to fertilize them about every second or third year.